Mycotoxins are toxic secondary metabolites formed naturally by moulds on crops and forages in the field and during storage after harvest. In food and feed they pose a potential threat to human and animal health. Fusarium, Penicillum and Aspergillus moulds are the main sources producing a variety of different types of mycotoxins. Aflatoxin How big is the threat of aflatoxins in poultry diets? Deoxynivalenol (DON) How does DON affect feed intake in pigs? However, there are around 500 known mycotoxins. Recent surveys, using liquid chromatography-tandem mass spectrometry to analyse animal feed and feed raw materials, revealed that all of the samples contained a multitude of mycotoxin metabolites. In most cases 26 to 30 different metabolites were detected. Other studies and surveys analyzing for the more commonly known mycotoxins have shown that 30-100% of feed samples contained more than one type of mycotoxin. The reality is that nutritionists, and producers are often dealing with raw materials and feed with multiple mycotoxin contamination. 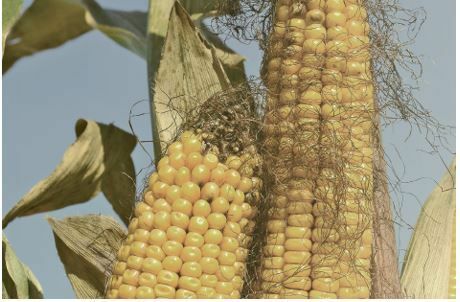 A survey conducted on 330 samples of feed ingredients found that Corn was by far the most affected by co-contamination. Research on toxicological interactions of mycotoxins found that most of the studies reported synergistic or additive interactions regarding adverse effects on animal performance. This explains, why more severe responses are seen in animals despite low contamination of individual mycotoxins found in the feed, when more than one mycotoxin is present.